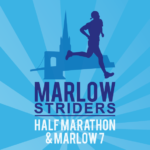 An always popular event, taking in the beautiful town of Marlow and the surrounding Chiltern Hills, including a significant part of the Hambleden valley. Run, jog or even just walk – this is a fun and exciting introduction to orienteering. 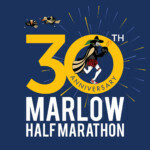 It’s organised by Thames Valley Orienteering Club and is ideal for all ages and abilities – runners, families and children too. Try a run with a difference – ideal for training or for something new and challenging! 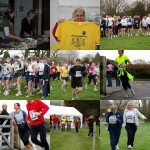 This event is organised by Thames Valley Orienteering Club. Race for Life Aylesbury 2012 in Waddesdon Manor, Waddesdon, UK. Race for Life High Wycombe (am) 2012 in The Rye, High Wycombe, UK. Race for Life Milton Keynes 5k 2012 in The National Bowl, Milton Keynes, UK. Race for Life High Wycombe (pm) 2012 in The Rye, High Wycombe, UK. Race for Life Milton Keynes 10k 2012 in The National Bowl, Milton Keynes, UK. A road race organised by the Lions Club of Winslow and funds raised go to local charities. See www.winslowlions.org.uk for details and application forms. Take part in the Milton Keynes parkrun @ Milton Keynes every Saturday at 9am! parkruns are always raced over 5 kilometers (5K) and take place weekly, on Saturday mornings, at 9am. It is completely free to take part in a parkrun event, though you must visit the parkrun website and register prior to taking part.